Upper Canada Mall in Newmarket, Ontario three nursing mothers rooms located on the second level. If you need to get there just take the elevator, but it can be difficult to locate, so you can use the department stoe elevators as an option to get up. 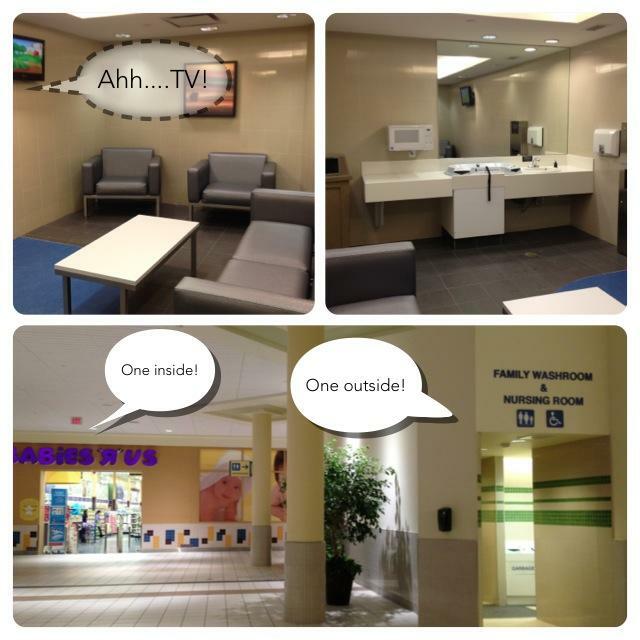 "There is a nursing room in the food court on the second level, as well as one in the children's play area (outside babies r us) and of course Babies R Us has their own mother's room as well. The mall's nursing rooms are both equipped with a TV...the sound is on very low so you can't really hear it..but the light itself is enough distraction for my baby... so if you have a fuzzy eater like me...it may be tough to get them to focus on feeding...other than that, the rooms are spacious and well equipped =)"